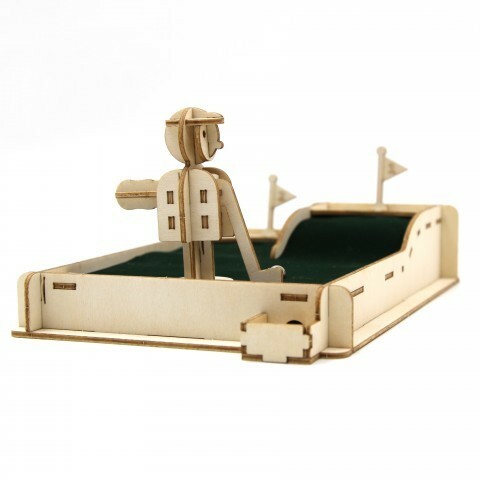 Ki-Gu-Mi Desktop Golf | A craft that helps exercise your brain! A craft that helps exercise your brain! A fun and handsome desktop accessory! 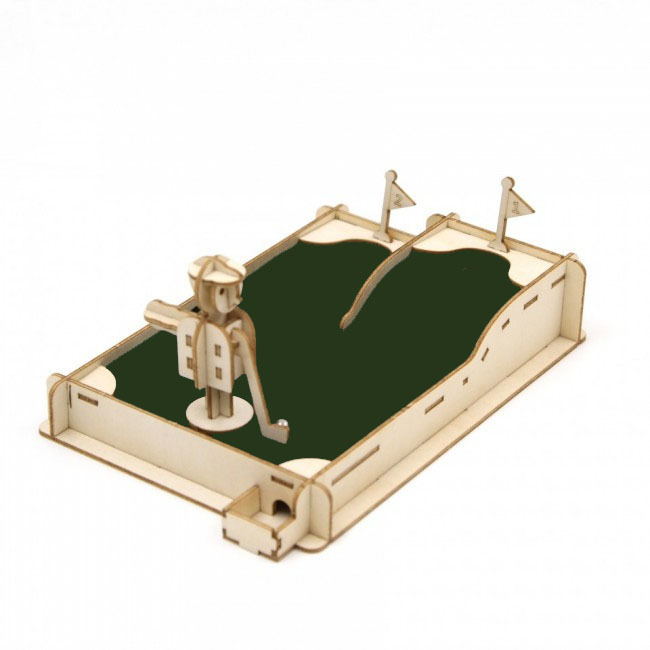 Use your downtime at work to perfect your game with this 3D Wooden Jigzle Golf Puzzle! Follow the instructions to assemble your golfing green using the pre-cut plywood pieces, complete with miniature golfer and golf ball! There are two holes in the green, use you fingers to direct the putter and hit the ball into each hole using as few strokes as possible! Can you make par or better yet, a hole-in-one? Please note: Tweezers and craft glue may be required to assist you with removing and placing some small parts. Product dimensions once assembled: 12.4cm x 19.1cm x 7.9cm. Made from 2mm thick plywood (FSC™ certified, ethically-sourced wood).